BRISTOL – Ray Rogozinski has recently accepted a promotion to be the city’s next director of public works. He is currently city engineer. 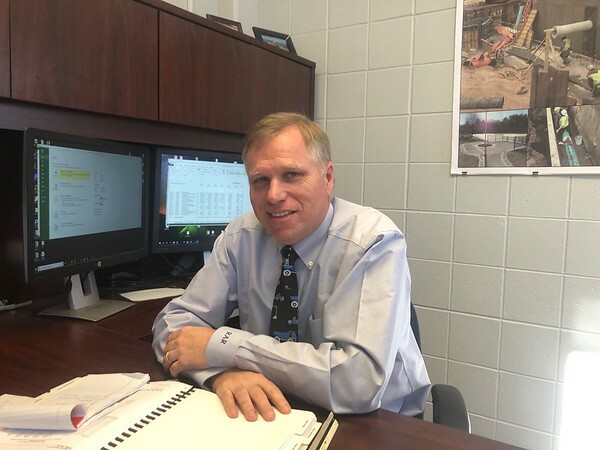 Rogozinski, who has a bachelor’s degree in civil engineering and a master’s degree in environmental engineering, has served in various roles with the public works department since 1997. “Ray brings over two decades of dedicated service to the City of Bristol and extensive knowledge of the many functions of the Public Works Department,” said Mayor Ellen Zoppo-Sassu. “It is great to see that Bristol was able to promote from within and award the position to someone that has shown his dedication to the city for so many years,” said City Councilor Greg Hahn. Rogozinski started public works as assistant city engineer, responsible for multiple technical and administrative duties of the department’s engineering division. In 2016, he was promoted to city engineer, overseeing all operations and functions of the engineering division, as well as the department’s major road improvement, pavement marking, railroad maintenance, street light, and 10 Year Capital Improvement programs, according to a statement from the mayor’s office. His promotion comes after previous director Walter Veselka had retired and taken a position with the City of Hartford last November. “I view the position of director as someone who continually explores ways to improve the department, whether it is through creating or revising department policies, providing employee training to all staffing levels, evaluating technologies that will increase efficiencies, or seeking ways to improve employee morale and the department’s image within the community,” Rogozinski said. He cited “the demand for increased services, the need to provide the highest level of customer service to residents, and potential tight budgets” as challenges that the next director will likely face. “I believe that my combination of work experience and educational background, along with my record of commitment to the city, make me ideally suited to meet these challenges,” he added. Rogozinski lives in Wolcott with his wife and son. He will officially begin his new role after the City Council approves the mayor’s nomination to appoint him at its Feb. 12 meeting. Posted in The Bristol Press, Bristol on Thursday, 7 February 2019 20:09. Updated: Thursday, 7 February 2019 20:12.